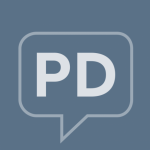 Here at ParkinsonsDisease.net, we’ve been honoring Parkinson’s Disease Awareness Month with multiple ways to share and connect with others and their experiences with PD. In light of World Parkinson’s Day, we’re giving away some items that can help spread PD awareness! A PopSocket phone grip and stand featuring ParkinsonsDisease.net’s site avatar. This gadget is placed securely on the back of the phone, and it can help those with tremors or gripping difficulties more firmly grasp their phone! A beautiful, handmade Parkinson’s Awareness tulip bracelet. Five Parkinson’s Awareness tulip pins, as well as five ParkinsonsDisease.net site avatar stickers to share with loved ones. Scroll down to the email submission box, enter your email address, and click or tap the Subscribe button. It’s that easy! Giveaway ends on on April 25, 2018 11:59:59 PM ET. One winner will be notified via email. The winner has 48 hours to claim their prize before an alternate winner is selected. For more information, please read our Terms and Conditions. Good luck!